As you may know I am an ardent advocate of corporate blogging. As much as a Corporate blog program can work as a great marketing and image building tool, it can work exactly opposite if you do not give enough importance to certain aspects that I will put forth here. 3 Wrong choice of blogger/s. But before going there, Do you know what is the number of corporate bloggers in India ? I would say less than 1% of Indian companies have blogs that are public. In comparison, based on this Wikipedia article, in US, 70% of fortune 500 companies have taken up blogging in one or the other form by end of 2006. Although, India will take a long time to reach that kind of numbers, the scenario is changing and a lot of companies have plans to launch their blogs, sooner than later. As far as Internal and executive blogging goes, it is not much of a worry for the company. It is a vehicle of communication and interaction within employees and management of organization. Unlike internal, with external blogging there are lot of risks involved.If not done right, a corporate blogging program could mean disaster. Infact, an organization should be very clear of its goals and reasons for blogging from day one. If blogging is not going to create much value, it is better not get into blogging at all. This is the most important aspect for successful blogging. The bloggers needs to be passionate about blogging and companies’ growth. His/ her every conversation should be in line with the objectives of the company. The blogger should be smart enough to tackle tough situations. Once you start writing in public domain about your company, their are bound to be lots of questions. And if you are not able to answer to readers satisfaction, they can cause serious negatives. A lot of corporate bloggers are guilty of this. The blogger has to question himself from time to time- Am I sticking to the laid out objective? Lets say, the objective of a particular corporate blog is to announce new product launches / releases / changes in their product. The blogger of this company might tend to write about different things other than product launches. This could prove quite dangerous. Keep a boundary to you subjects and stay within them. Yes, the blogger needs to understand it. Like in any medium, where an employee is sharing information, it becomes imperative that the news that is supposed to stay inside, remains inside. you cannot leak trade secrets, breaking news (that you are not supposed to break), confidential financial information even by mistake. It can have huge repercussions to the company. It is going to reflect very poorly on company’s image if the blog is not updated regularly. It will give an impression that there is nothing much happening inside. Things are not moving. I am sure you do not want to portray this to your existing and potential customers. Blogging can lead to legal issues. Even though a company blogger as an individual publishes information, whatever he/she writes is the responsibility of the company. It is very important to spell out your liability, exclusions and limitations. Comments can be devastating especially if they are open to public. The company has to think of all possible consequences before opening comments to general public. If you can’t follow the points mentioned above, here are 100 tips on corporate blogging that you should not miss. Follow them at your own risk ! Indian Online Airfare search: Comparative Analysis of 10 different travel sites. 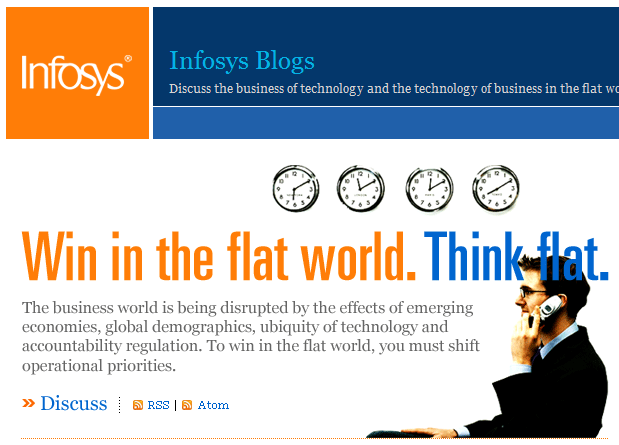 Yes, Vishy…if you do not see a compelling reason for your company to blog. DO NOT do it….It will harm more than the good it will do. Like I said, I promote corporate blogging, but it is only right for certain segment of companies. i absolutely agree with you especially, the point that says sticking to the topic. Its so easy to just wonder away. Also a company blog should be written by individuals who represent the company, it makes it more personal that way. you cant have someone blogging under the company name.